Incredible trails and endless ways to explore make the Long Beach Peninsula the perfect destination for adventurous souls! Hike to the west coast’s oldest working lighthouse, ride a horse on the beach, or bike the Discovery Trail. 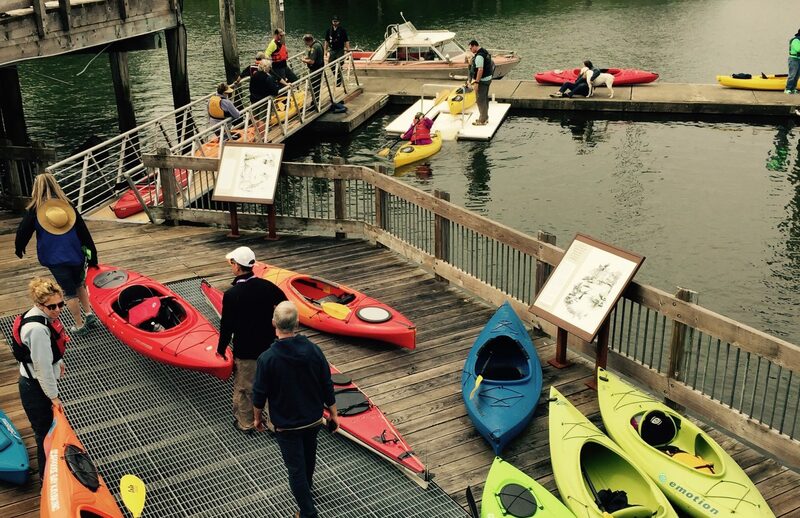 You can even take surfing lessons or rent a kayak to explore the Willapa River in South Bend. On rainy days, enjoy an indoor tennis court or relax with some yoga. The peninsula also has two gorgeous golf courses–Peninsula Golf Course and Surfside Golf Course–and a full gym. With so much to do, it might be hard to choose. Check out more activities on the peninsula. 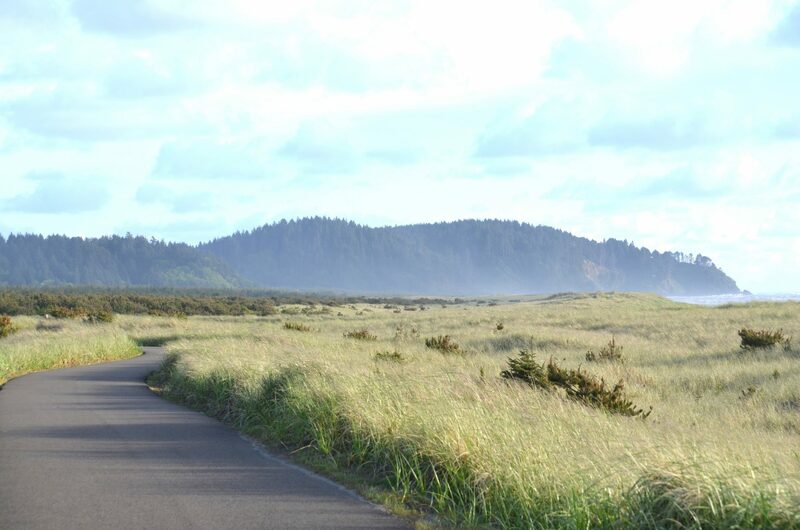 The Discovery Trail stretches from the Port of Ilwaco to north Long Beach, just behind the Breakers. Whether you’re on foot or on bike, you’ll be treated to unforgettable landscape. Along the way you’ll find interpretive panels and sculptures commemorating Lewis & Clark’s journey. In fact, the trail is named after the Corps of Discovery! Tackle the whole thing or enjoy a mile or two. There are multiple access points. Download the map to your mobile device or request a copy via snail mail. 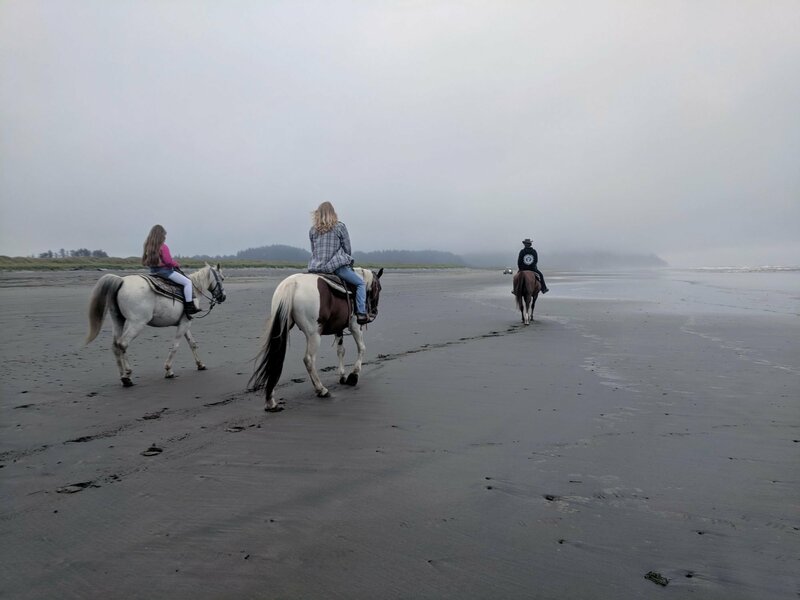 Horseback riding on the beach has been a favorite activity for visitors and locals for decades. There’s just something to riding a horse alongside crashing surf and breathing in fresh, sea air. West Coast Horse Rides and Back Country Horse Adventures offer horse rides. Both are located on Sid Snyder Dr. in downtown Long Beach. Peninsula Saddle Club and Red Barn Arena offer accommodations for horses. 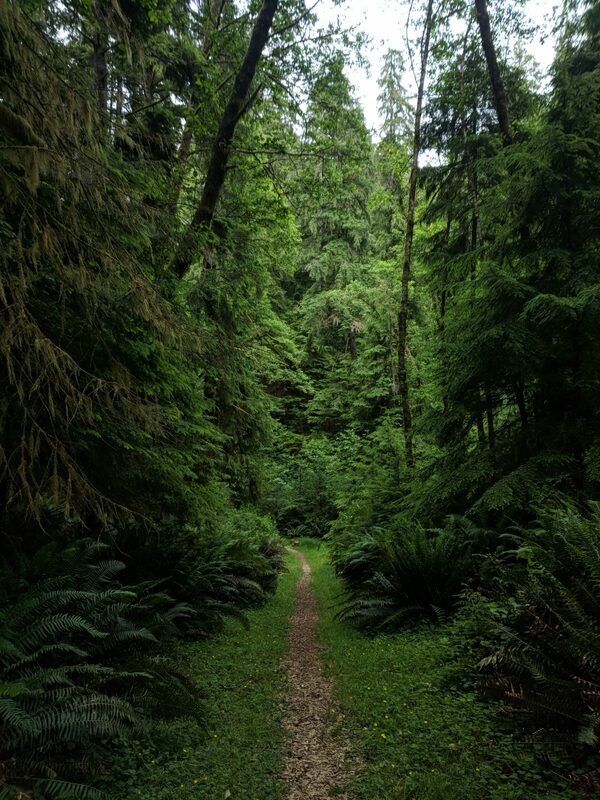 Hike your way to hidden coves, old growth forests, and breathtaking views. With gorgeous state parks and a national wildlife refuge, adventure abounds on the Long Beach Peninsula’s hiking trails! Discover two working lighthouses, wander the beach, and explore old forts. Enjoy trails for all skill levels. You can get the map here. Explore one of the most intact historic coastal units in the US! The trails behind the fort are best for intermediate hikers. Check out the map and more info about the park. Hike from beach to bay at Leadbetter Point. Plan ahead! Some of the trails flood with seasonal rains and water can rise up to your waist. Download a map and come explore. Try to wrap your arms around giant trees and explore the rain forest. If you’re up for a real adventure, check out the trails on Long Island. Check out the trail guide! Cutthroat Climb at Willapa National Wildlife Refuge. Photo by Sarah Day. We accommodate horses with their owners. Limited pens available. First come, first served. Portable fencing welcome. Full time & vacation/temporary welcome. Indoor stalls, outdoor paddocks, indoor & outdoor arenas, dry camping, overnight parking. Close to beach. Surfside Golf Course winds through coastal pines with fresh ocean breezes & sounds of crashing surf. Power & pull carts, driving range, rental clubs. Come see why we‘re “The Washington Coast’s best kept secret”. PGA Professional on site. Adventures with Skookum Surf Co.
Peninsula Golf Course is a family & dog friendly, 9-hole public golf course located one mile north of downtown Long Beach. Golf pro on site w/full service pro shop. We offer tournament packages for groups of 16 players or more. Open year ‘round, 7 days/week, from dawn ‘til dusk. Power carts, club rentals available. Full service restaurant, best greens on the coast.